Here's Japanese sport car come in all wheels drive mated with 4-door sedan front engine lay out built in 2014 by Subaru. 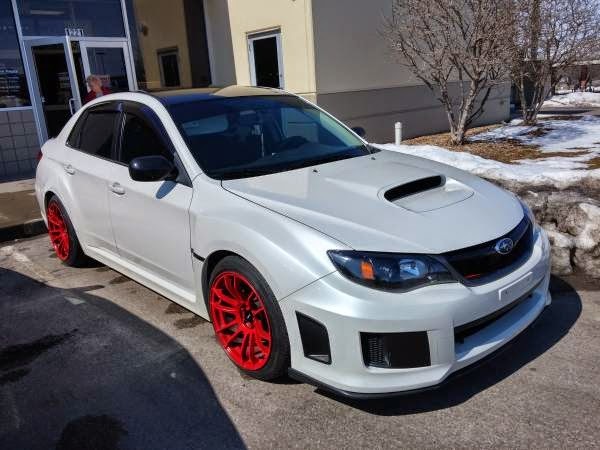 This the Impreza WRX Sedan for sale in Bloomington, excellent condition has 23000 original miles manual transmission ready to go. black vinyl roof and window rain guards. The wheels are plastidipped black right now and does not have tpms... Thanks for looking. Please feel free to text me 317three 1 5 three4 8 8 if you are interested, thanks. NOTE: It will not come with the aftermarket wheels.